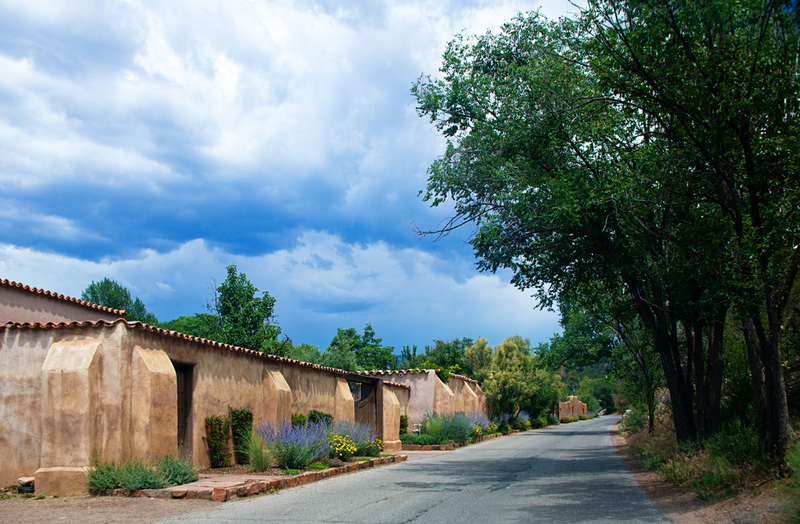 If Santa Fe is the second largest art market in the nation, then Canyon Road is the heart of the art district within Santa Fe. 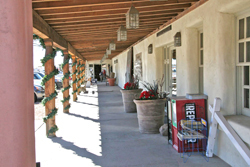 A treasure trove of artistic finds, Canyon Road boasts more than 100 art galleries and studios that include everything from Native American and contemporary art to jewelry, clothing and furniture. All of this resides in a setting full of original architecture, sculpture and gardens. Rich cultural surroundings require world-class dining options. From traditional Southwestern Cuisine to innovative Fusion Southwestern Cuisine, the variety here is incredible. Native American, Mexican, Italian, Spanish, Thai, Steak, Vegetarian, as well as a top-notch wine selection - no stone is left un-turned. After restaurants, it’s on to specialty stores and services like wellness centers or white water rafting organizations. It's only natural that the people that define this community to be artistic in nature. Musicians, actors, artists, and the like, are your neighbors. Simply put, culture exudes from every corner. You don’t have to be an artist to live here. Just hold an appreciation for culture. View Canyon Road Homes for Sale! Bounded from the state capitol complex to the St. Vincent Hospital, the South Capitol area is quite simply named as such because it is located south of the Capitol building. 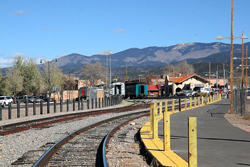 This area was heavily influenced by tastes and styles brought to Santa Fe via the railroad. The result is a cultural masterpiece of a town. With the majority of this area constructed in the 1940's and 1950's, South Capitol has a definite allure to it. Even with renovations and new homes, it has not lost any of its old world charms. Bungalows, framed construction, Pueblo Revivals, and Victorians all come together to create a fusion of architectural magic. The property value continues to rise in this area, the community involvement is strong, and the schools are quality. 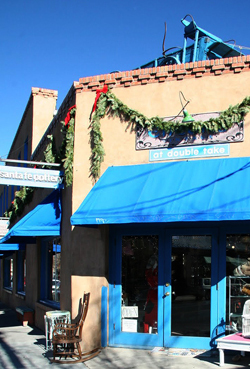 Of course, true to the historic Eastside and downtown area of Santa Fe, there is a Mecca of galleries, shops and great restaurants. Back Street Bistro and Vinaigrette are some of the hometown favorites. View South Capitol Homes for Sale! Four museums. One very popular café. Unique Shopping. 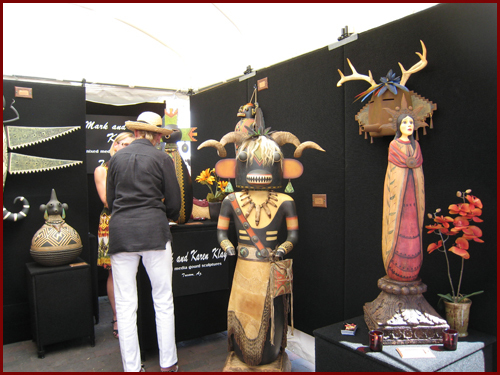 An extensive collection of Santa Fe's art and culture. 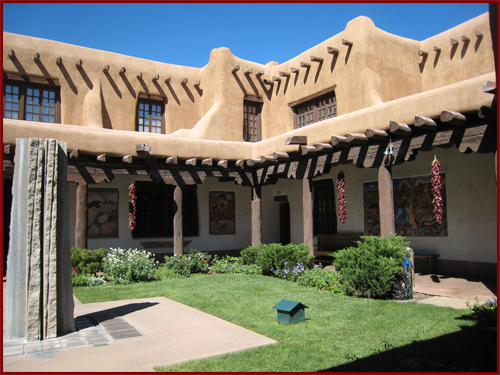 Museum Hill is an area in Santa Fe that brings its fascinating museums together - all in one place. 3,000 objects of Spanish Colonial Art make this art collection the most comprehensive compilation of its kind. 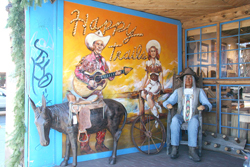 It features everything from Santos (painted and sculpted images of saints) and textiles, to books and furniture - all housed in a classic Spanish Colonial or "Pueblo Revival" building. The Museum of Indian Arts and Culture offers artifacts of the Southwest from ancestral to contemporary. It boasts more than 70,000 works of art and material culture. This museum is more than just its exhibits; it also offers public lectures, field trips, artist residencies, and other educational programs. This is a museum of a different color. Sometimes it is the everyday objects like toys, textiles, household goods and religious art that make the best art because they promote a better understanding of cultures past and present. Here is where you will find important Native American art. Objects and archives pertaining to the arts and cultures of the Navajo, the Rio Grande Pueblos, and other native peoples of New Mexico are all housed in this 8-sided building inspired by traditional Navajo Hooghan. The exhibits are constantly chaining, exploring all types of contemporary and historic Native American art with a Southwest emphasis. View Museum Hill Homes for Sale! 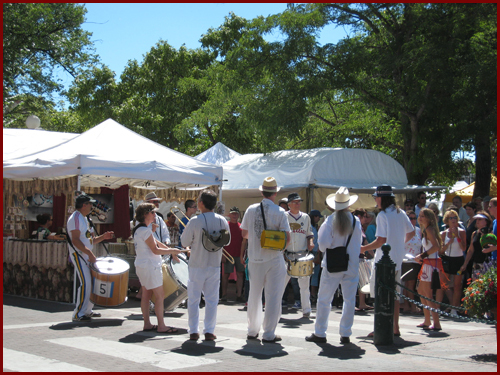 The central park of Santa Fe is definitely the Santa Fe Plaza. Rich with history and stories, it is actually listed on the National Registry of Historic Places. Walking its streets is like taking a step back in time knowing that many of the surrounding buildings stand just as they did during Colonial Spanish times. As much as it is historical, it is also just a place for the people of Santa Fe to sit on benches or under trees, play in the grass, listen to live bands perform, and look forward to at Christmas time when the buildings are donned with farolitos and luminaries. View The Plaza Homes for Sale! 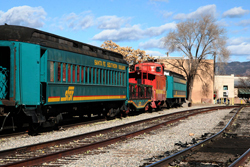 While The Plaza is steeped in Santa Fe's past, The Railyard is all about Santa Fe's future. 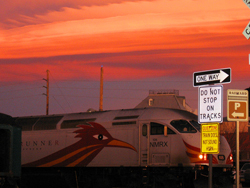 Just like everything in New Mexico, the Railyard, of course, has a history. But with the railroad locale's decline back in 1987, the city made a master plan to revamp the entire community to make it the forward-thinking, vibrant hub that it is today. 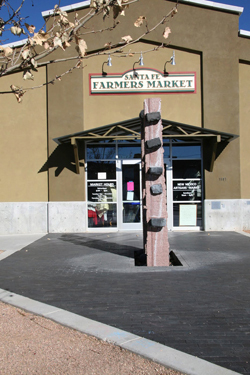 Filled with non-profit organizations such as the Farmers Market, internationally renowned arts organization SITE Santa Fe, Hispanic cultural center El Museo Cultural and teen art center Warehouse 21, this is the kind of town perfect for community-minded residents who like to get involved. 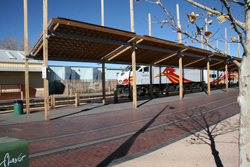 As part of the Railyard Master Plan's mission to embrace the landscape and the environment, efforts such as trails for pedestrians and cyclists, water harvesting practices and the use of environmentally responsible systems have been implemented. On top of it all, the Railyard boasts live-in art studios, a cinema, galleries, museums, restaurants and more than 13 acres of open space. View Railyard Homes for Sale! Located only a mile west of the Plaza, Casa Solana has access to all the amenities of the downtown arts and culture, with the benefit of a more private, neighborhood feel. Defined by its wide open streets, mature trees and parks, Casa Solana is truly a friendly, old-fashioned hometown kind of neighborhood. Acclaimed builder Allen Stamm established the homes in the Casa Solana subdivision back in 1950. Stamm specifically did not include front yard fences in his home designs because he wanted neighbors to get to know each other. Thoughtful touches to the home design such as built-in spaces for Christmas trees and highchairs, as well as garages that could easily be converted into bedrooms for growing families, speak to the type of neighborhood that Stamm envisioned Casa Solana to be. 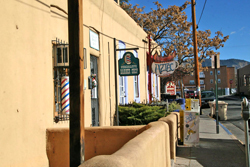 The best part about Casa Solana is that it is one of the most affordable neighborhoods in the Santa Fe area. It's not often you can find an area that offers amenities such as tennis and basketball courts, a family-friendly community pool, volunteer opportunities, and unique restaurants with property values ranging from $200,000 to $500,000. View Casa Solana Homes for Sale!